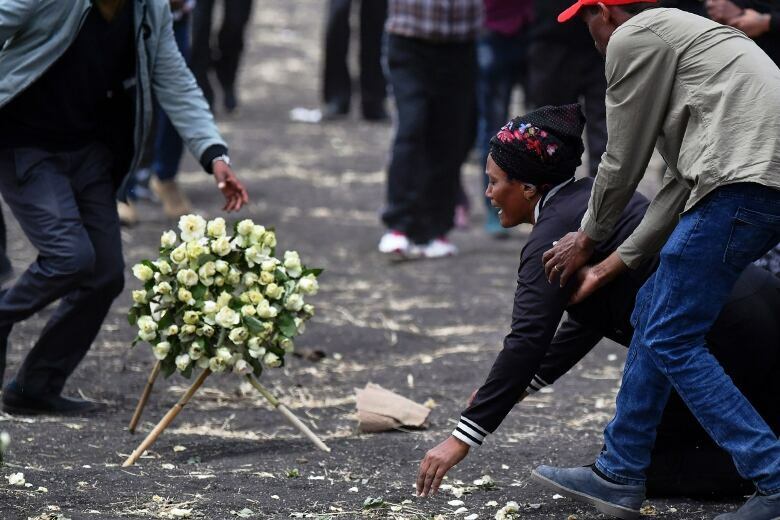 The crew of the Ethiopian Airlines jet that crashed six minutes after takeoff last month performed all procedures recommended by Boeing when the plane started to nosedive and they could not save it, according to findings from a preliminary report released Thursday by Ethiopia’s government. Boeing said on Thursday that its new software fix for its anti-stall system will give pilots the authority to always override the system if it’s activated by faulty sensor data. “The history of our industry shows most accidents are caused by a chain of events. This again is the case here, and we know we can break one of those chain links in these two accidents,” Boeing chairman-CEO Dennis Muilenburg said in a written statement. The statement did not say if the FAA would review the Max’s flight-control system, as recommended by Ethiopian investigators, and FAA spokesperson Greg Martin would not comment beyond the statement. Boeing is working on improvements to the MCAS software that would make it less aggressive in pointing the nose down and easier for pilots to disable. The FAA has said it will review the software before allowing the Max to fly again. The family of a 24-year-old American passenger on the Ethiopian jet has sued Boeing in Chicago. The complaint, which also names Ethiopian Airlines and parts maker Rosemount Aerospace as defendants, is alleging negligence and civil conspiracy, among other charges. “You’ve let us down. You’ve killed people when you’ve let us down,” said Adnaan Stumo, the victim’s brother, addressing Boeing during a news conference in Chicago. He noted that crash reports are not meant to assign legal blame and that it is too soon to know what the legal implications might be for Boeing, but it clearly increases the pressure on the company.